MANILA, Philippines -- It may have the strongest team on paper, but defending champion Petron remains as cautious as ever heading into the 2019 Philippine Superliga Grand Prix that kicks off Saturday at the Ynares Arena in Pasig City. Petron coach Shaq delos Santos has predicted a wide-open race in the Grand Prix, especially as teams have beefed up their respective rosters in a bid to dethrone the Blaze Spikers. 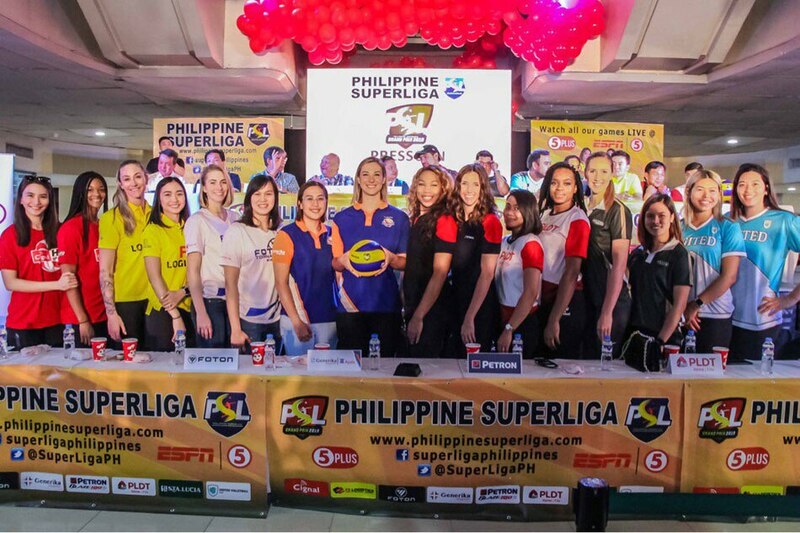 F2 Logistics, for instance, tapped a former Petron import in Lindsay Stalzer along with American-Italian Becky Perry, while United Volleyball Club will be bannered by the solid core of Kalei Mau and new recruits Alohi Robins-Hardy, Amy Ahomiro, Bang Pineda with imports Tai Manu-Olevao and Yasmeen Bedart-Ghani. Generika-Ayala will also be a force as it parades Azerbaijan national team star Kseniya Kocyigit and Brazilian stalwart Nikolle del Rio, while Cignal banks on the prowess of skipper Rachel Anne Daquis with Anastasia Artemeva of Azerbaijan and Erica Wilson of the United States as reinforcements. Delos Santos is already foreseeing a tough battle. "I tell the team that this is an entirely new battle," the coach warned. "This is a very competitive field. We can't be complacent," delos Santos stressed. "We have to be at our best every game, if we want to retain our crown. We have to give our 100%, game in and game out." Petron is bringing back prolific imports Stephanie Niemer and Katherine Bell together with the seasoned core of Mika Reyes, Aiza Maizo-Pontillas, Frances Molina, Rhea Dimaculangan and a new recruit in prized libero Denden Lazaro. The Sta. Lucia Lady Realtors, meanwhile, will have a new coach in Babes Castillo. They will also display the scoring prowess of NCAA Division I standouts Molly Lohman and Casey Schoenlein. Foton, the two-time champion, will continue to miss the services of Jaja Santiago and Dindin Santiago-Manabat, but will rely on former Turkish national team member Selime Ilyasoglu and American Courtney Felinski. PLDT, which used to play as Smart, will make a return with Grace Lazard and Kendra Dahlke as reinforcements. 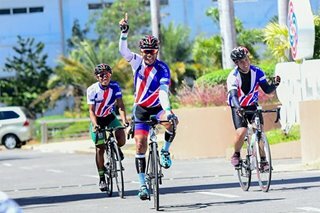 "Everybody is a contender," said delos Santos. "This is going to be a wide open and competitive race, so we have to prepare hard against everybody."